The Godfather, To Kill a Mockingbird, Gone with the Wind, The Wizard of Oz… From the beginning, films have used other mediums and art forms, everything from plays and classical literature to best-selling books and even comic books for adaptations on screen. Shakespeare and Jane Austen have proven to be exceptionally well suited to film adaptations. There have been countless movie versions of the Bard’s famous plays and Jane Austen and Charles Dickens have created a cottage industry around their many successful film versions of the most popular re-telling of their works. Breakfast at Tiffany’s was adapted in 1961 from author Truman Capote’s best-seller of the same name. In 1958, Norman Mailer’s controversial novel, The Naked and the Dead,.was also made into a film starring Cliff Robertson. It didn’t fare as well as the Audrey Hepburn film. 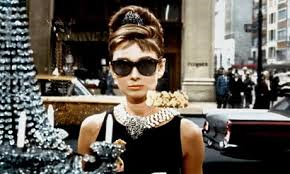 One reason could be that Hepburn adapted the material to her style, and though it was reported that Capote had Marilyn Monroe in mind for the character of Holly Golightly, the screen version did convey some of the frenetic art scene that was prevalent during the turbulent sixties. Audrey Hepburn’s glamour and waif-like screen presence brought an undeniable sense of grace and mystery that would not have been possible had Capote’s wishes been realized. When writing a novel and subsequently adapting the material, there is a vision of a story that every author has and it follows that the reader of any novel is able to envision his or her own reality when imagining a story and the characters. The same applies for the director and the cast of any film that has been adapted from an original story source. The Harry Potter series and the ensuing screen adaptations followed the authors’ original vision fairly closely and the results were wildly successful. And so it goes that in each case, the original material is the source of the inspiration and the resulting film product may veer slightly or deviate wildly from the writer’s original concept. That is and always has been part of the nature of film. And it’s the visions that often turn what might have been just an ordinary film into a piece of art! It’s the “stuff that dreams are made of”. Breakfast at Tiffany’s will be screened on Sunday, July 19th at Tampa Theatre as part of their Summer FIlm Series.